Nigerian Multi-Millionaire Spent $1.5m On Champagne At Leo DiCaprio’s Birthday Party? 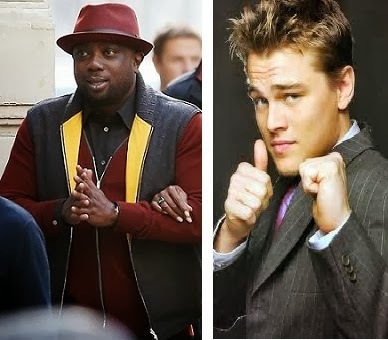 A Nigerian oil, gas and aviation tycoon, Mr Kola Aluko allegedly spent about $1.5 million on champagne at Leo ­DiCaprio’s star-studded birthday bash. According to a popular US based tabloid, the Multimillionaire businessman Aluko, a co-founder of the Made In Africa Foundation who was recently seen lunching in Paris with Naomi Campbell, was among a group of billionaires who bought bottle after bottle of champagne at DiCaprio’s 39th birthday party at Tao Downtown. Big spenders who ordered bottle after bottle of champagne at the bash included “The Wolf of Wall Street” producer Joey McFarland and Texas businessman Nate Paul. Other billionaires there included Vladimir Doronin, Ron Burkle, Jho Low and Vivi Nevo. The actor raised more than $3 million on the night for his charity the Leo DiCaprio Foundation by adding a hefty fee on top of all the bottles, plus donations from his wealthy friends. One of Aluko’s reps however denied he spent $1.5 million on champagne, but confirmed he would make a donation to Leo’s Foundation for charity. One guests said, “The party was wild, wall-to-wall models. There were probably 20 girls to every guy. Leo started the night with a dinner in a private room and then joined the party around midnight.